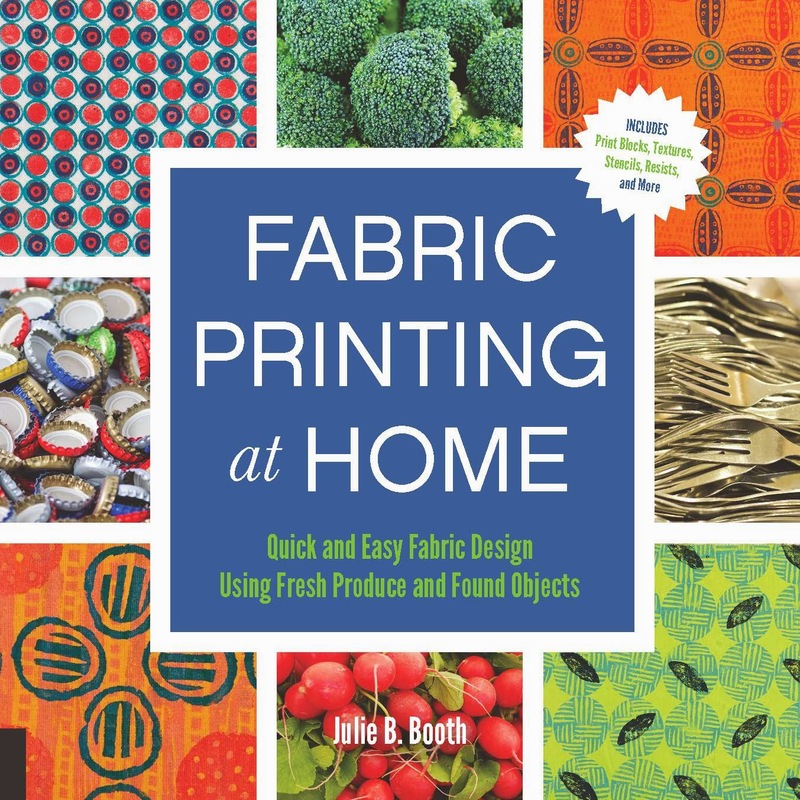 We've reached Day #8 on the Fabric Printing at Home Blog Tour! Today we'll be visiting Teri Lucas' blog. 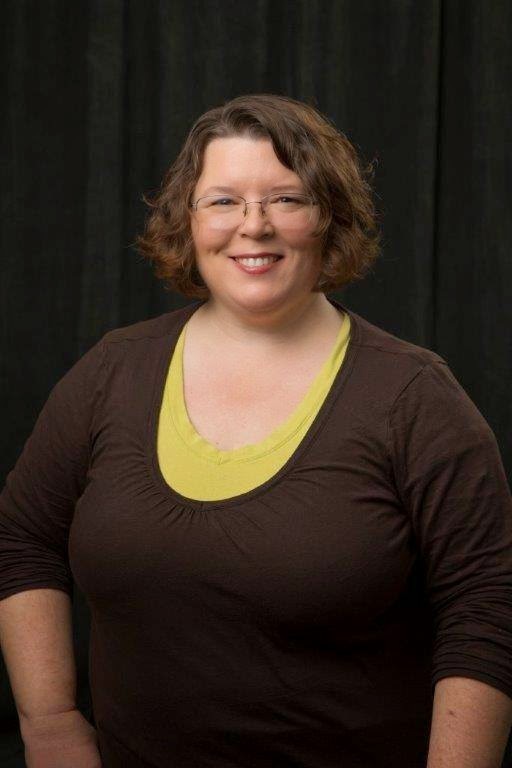 Teri is a writer, editor, teacher and award-winning quilter! 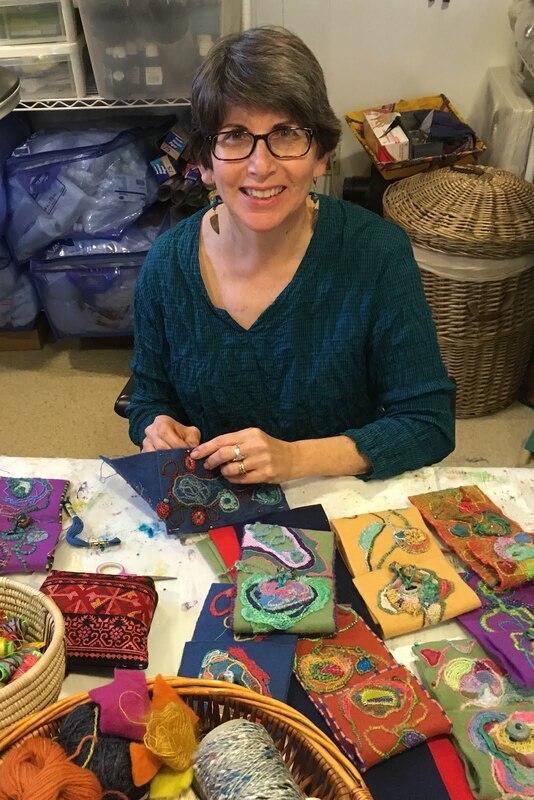 Teri Lucas started quilting a way back when in the early 90's, 1990's that is. A passionate machine quilting teacher, she took up machine quilting in 2007, started teaching in 2008. 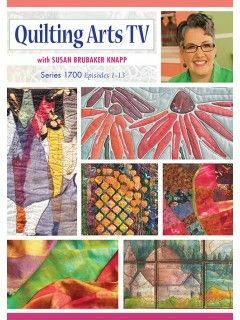 Teri appeared on Quilting Arts TV, written for Quilting Arts, The Quilt Life and Generation Q Magazine. Teri is an Associate Editor with Generation Q Magazine. She is an award winning quilter living in The Bronx with her husband of 22 years. Stop by Teri's blog today and leave a comment for a chance to win a copy of Fabric Printing at Home. Those of you who regularly receive my online newsletter, Julie B Booth Surface Design News, probably recognize my refrain, "A little goes a long way." I use this "line" whenever I refer to paint amounts and printing. 1. When using a foam brush with transparent fabric paint: Dip the brush into the paint and "pump" it up and down in the container to soak up paint. Be sure to drag the tip of the brush across the edge of the container to release excess paint before painting the fabric or block. 2. 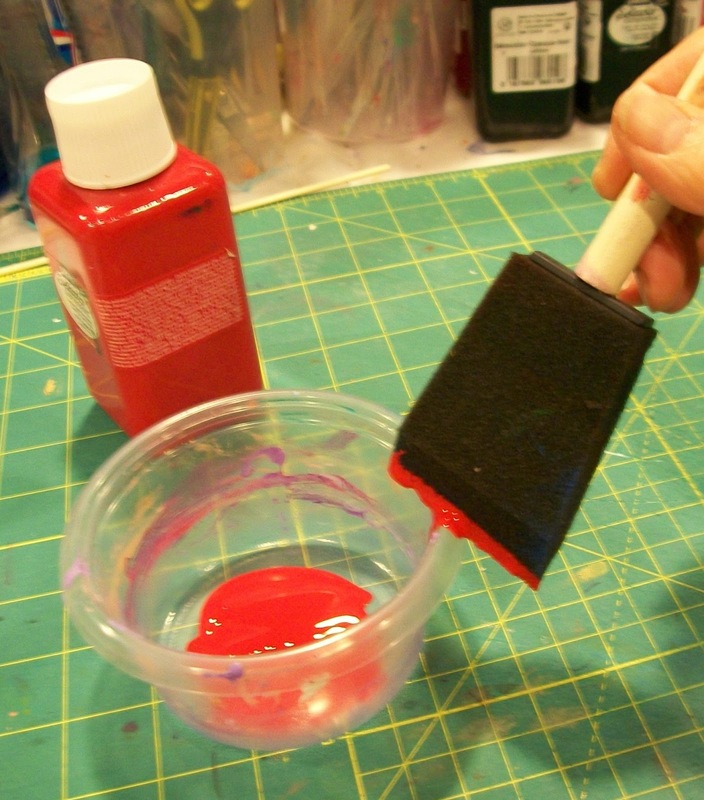 When using a foam brush with opaque fabric paint: Dip the brush in the paint and drag the tip across the edge of the container to release excess paint before painting the print block or printing plate. 3. When using a foam dauber with opaque fabric paint: Spoon a small amount of paint onto a glass palette or a plastic container top. Press the dauber into the paint and then press it a few times on the glass/plastic to release excess paint before applying paint onto a print block or through the openings in a stencil. 4. 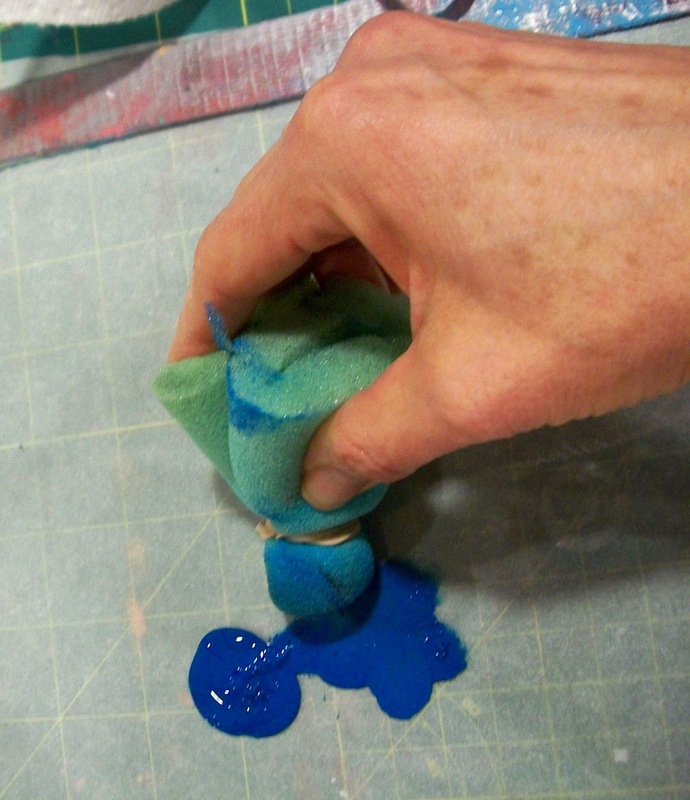 When using a dense foam brayer with opaque fabric paint: Spoon about 1/4 teaspoon of paint onto a glass palette. 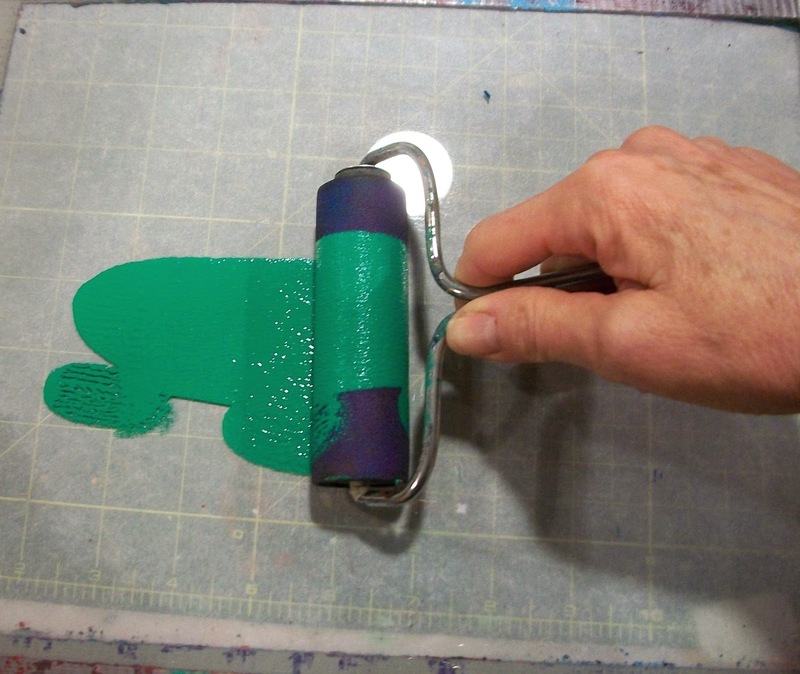 Roll the brayer over the paint to spread it out on the glass and to evenly coat the brayer. Roll an even coat of paint on a print block. 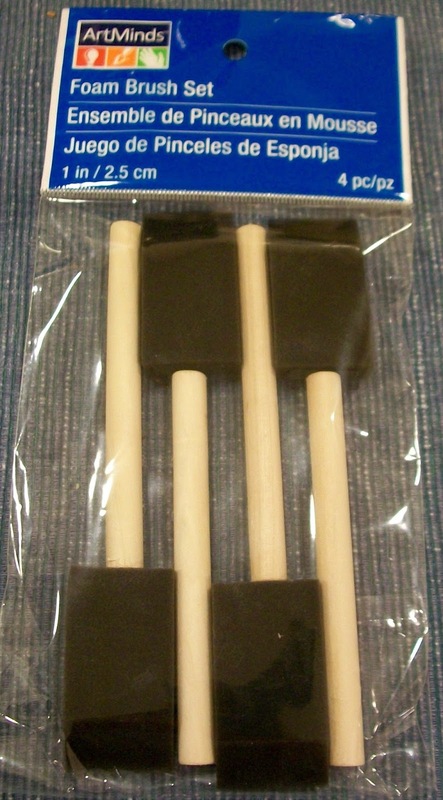 Today's giveaway is a set of four 1" foam brushes....so you can practice your paint application techniques! Leave a comment for a chance to win. I will choose a winner at 11:00 PM Eastern USA time. Check tomorrow's post to see if you are the winner. Your comment also enters you in the final drawing on February 15 for a free copy of Fabric Printing at Home: Quick and Easy Fabric Design Using Fresh Produce and Found Objects. And now for the winner of yesterday's giveaway (a set of 3 plastic spreaders)...congratulations to Deb Clarke! Please email me with your contact information (threadborn@cox.net) so I can send off your prize. Tomorrow the tour stops at Jennifer Coyne Qudeen's blog. Jennifer and I are good buds. She's an accomplished artist and now a writer. I look forward to introducing you to her tomorrow! Thanks for the good tips; I have been guilty of using too much paint and having sloppy prints. What very clear tips for using paint. Thanks for sharing your expertise. 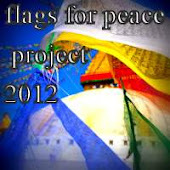 I am so enjoying this blog event. Thanks for hosting and your generosity! Yes, this has definitely been a problem for me. Thanks for the Rios. Thanks for the reminder - I know I always tend to start with too much paint!